The next Local Government Elections will be held on Thursday, 2 May 2019, Councillors will be elected for each of the eleven council areas in NI. 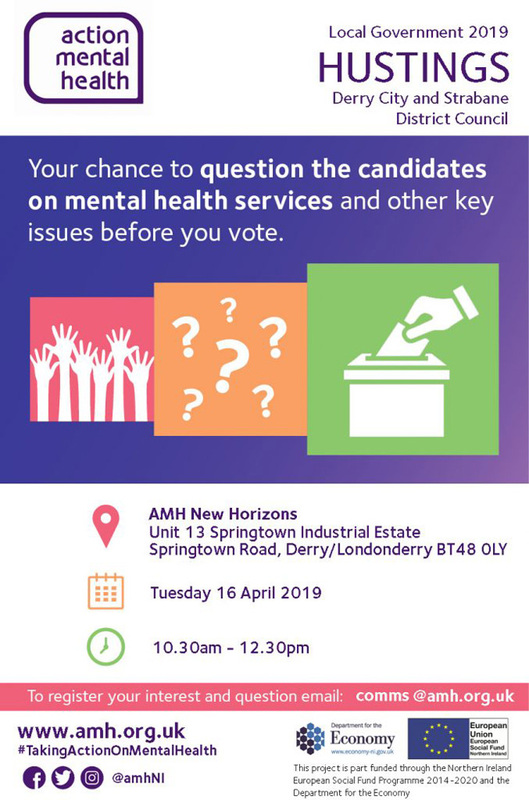 We held a Hustings in AMH New Horizons Newry recently, where clients has the chance to ask candidates who are standing for election lots of questions on a range of subjects. 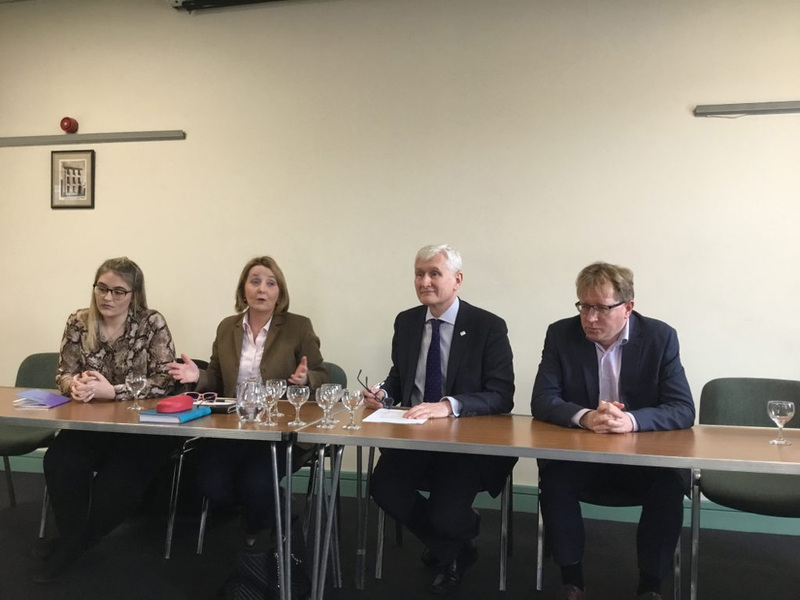 Emma Cairns (Green Party), Roisin Mulgrew (Sinn Fein), David Babington (AMH) and Gary Stokes SDLP are grilled by our Newry clients ahead of the Local Government Elections on a whole range of topics. The UUP representative sent his apologies as he was attending the birth of his child – so we forgave him for that!! The next event will take place in our Foyle service – details of how to get involved below!